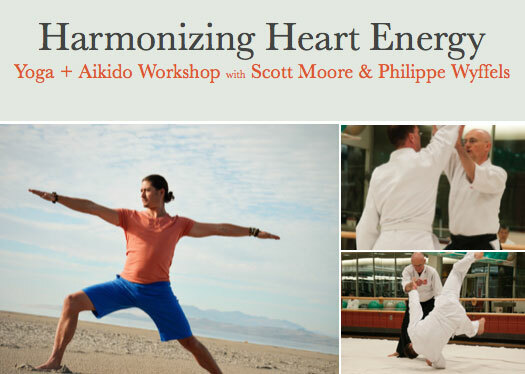 Saturday, March 30, 7 – 9 p.m.
Scott has studied, practiced, and and taught Yoga and meditation for the past 17 years. He loves to infuse humor, storytelling, poetry, and music into his teaching. He describes Yoga as “a beautiful vehicle that directs me toward spirituality, mindfulness, and health.” He enjoys teaching Vinyasa, Hatha, Power, Restore, Mindfulness, and Yoga Nidra. 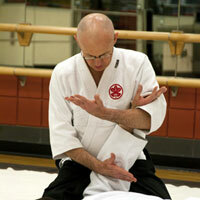 Philippe is the chief instructor for Aikido of Salt Lake. He has trained in Aikido for more than 28 years. A native of Brussels, Belgium, Philippe began his training in Brazil under Roberto Maruyama Sensei (7th degree black belt) of the Maruyama Institute of Aikido and was awarded his yondan (4th degree black belt) from Maruyama Sensei in March 2016.